Among the hundreds of ancient rock-cut royal sepulchers that have been discovered in Egypt one in particular, KV55, stands out for its infinite intrigue. At some point in time, this Eighteenth Dynasty crypt was used to deposit at least two mummies – Pharaoh Neferkheperure-waenre Akhenaten netjerheqawaset and his mother, the dowager Queen Tiye. While scholars continue to debate the identity of the former, the fact that the Great Royal Wife rested for a while in this tomb was proved by the presence of her enormous golden shrines found within. A hurried archeological dig, that displayed poor regard for cataloguing and conserving the objects recovered, has raised more questions today than it has provided answers. This colossal sandstone sculpture of Pharaoh Akhenaten, wearing the Khat headdress and double crown, was discovered at Karnak Temple. The king’s desire to rest for all eternity in the city he had built, Akhetaten, was dashed when Tutankhamun ascended the throne and shifted the capital back to Thebes. Egyptian Museum, Cairo. 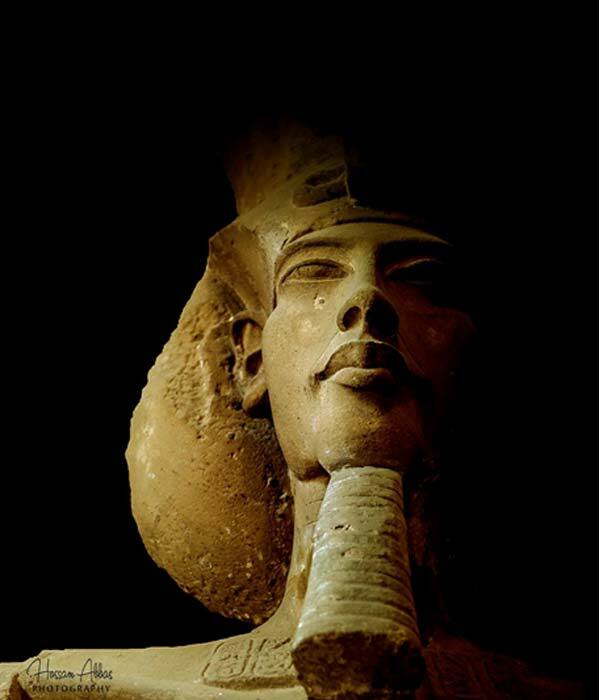 With Akhenaten died his grandiose religious revolution; and his successor, Tutankhaten ensured that the Aten, though not denounced, was ousted as the supreme god. In Regnal Year 3 the young king changed his nomen to Tutankhamun (Nebkheperure Tutankhamun Hekaiunushema) and reinstated the traditional state deity Amun. The next step was to shift the royal capital back to Thebes, that his father had abandoned as the seat of power when he had Akhetaten built. 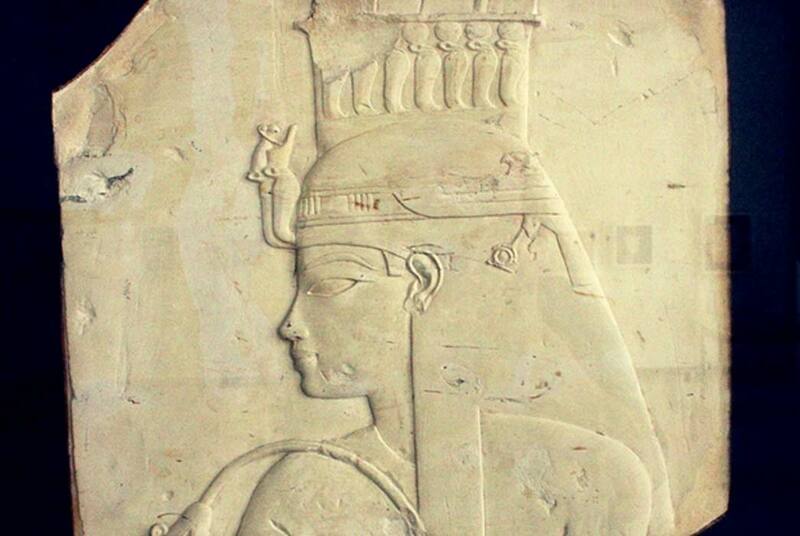 But by the time Tutankhamun ascended the throne most members of his family had died. The mortal remains of at least three of them were interred in the massive communal royal tomb (TA26) constructed in a remote wadi of the eastern desert cliffs at Amarna.